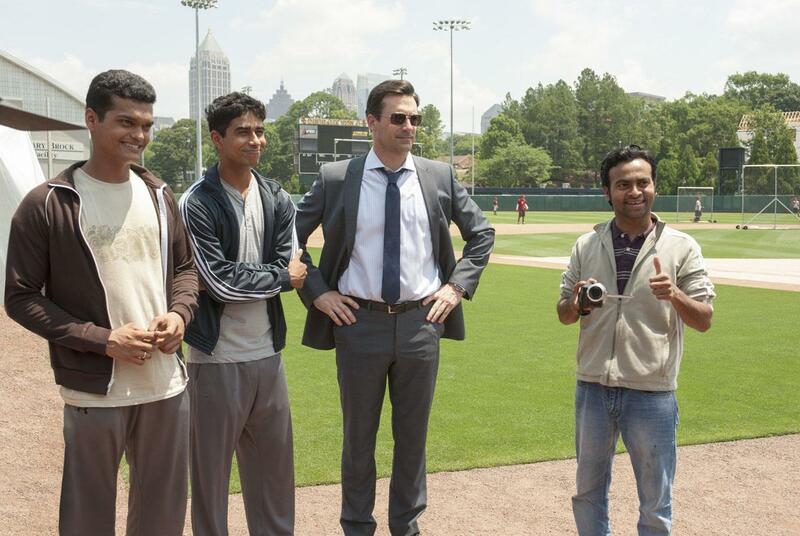 Based on a true story, Million Dollar Arm is your typical Disney feel good, family fun movie with a message. 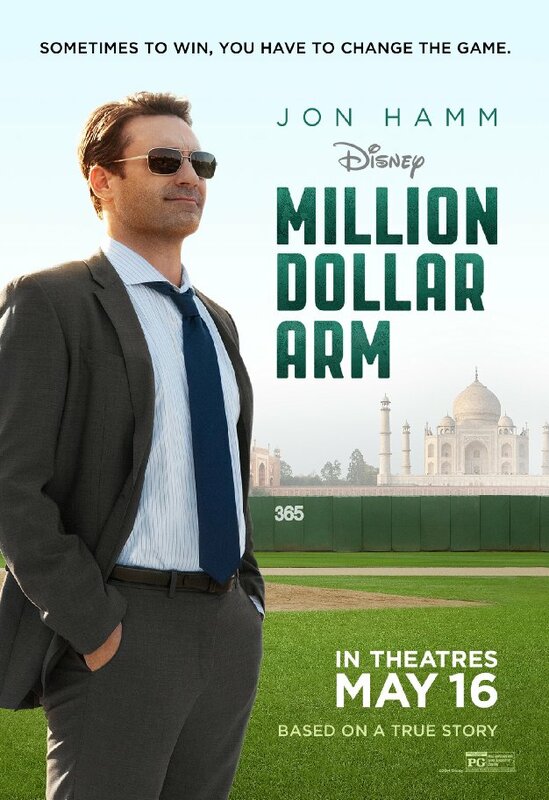 JB Bernstein (Jon Hamm) is a once successful and now down on his luck sports agent who is down to his last chance at signing a star, Popo (Rey Maualuga), after striking out on his own. When Popo signs with a large powerhouse agency, JB and his partner Aash (Aasif Mandvi) will be forced to close the business if they can’t come up with some way to save it. Watching television late one night the idea comes to JB to have a contest in India to find the next ‘million dollar arm’ amongst cricket bowlers. He convinces Aash that his plan will save their failing business and together they gain the backing of a wealthy entrepreneur, Chang (Tzi Ma). 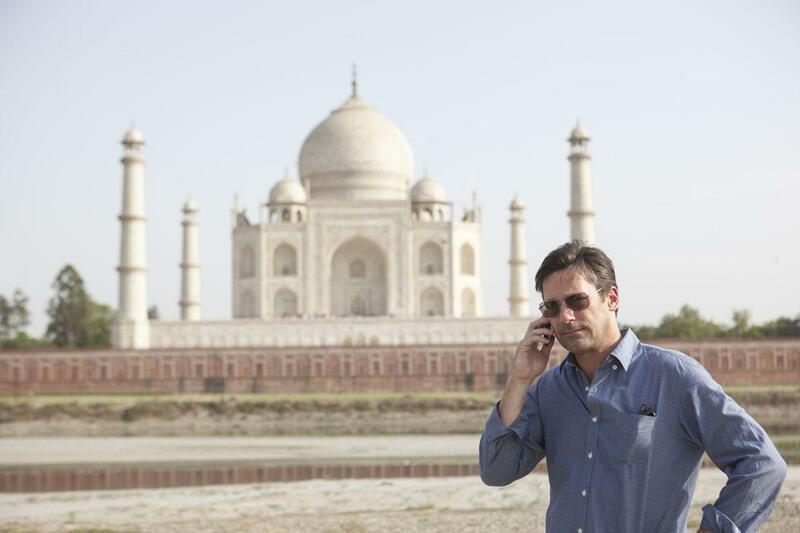 JB sets off for India to begin the circus of finding the next million dollar arm with an aged and cantankerous agent (Alan Arkin). Their search yields 2 candidates, Rinku (Suraj Sharma) and Dinesh (Madhur Mittal), whom they bring back to the US to begin training with legendary pitching coach Tom House (Bill Paxton). What follows is a touching story of awakening and personal growth along with the help of Hamm’s new love interest Brenda (Lake Bell). Which of course ends with the inevitable “and they lived happily ever after” we have all come to expect from a Disney film. This is not a summer blockbuster by any means. However, if you are looking for a fun and touching, family friendly film this summer, this is a good one.